Most people might consider bone as a hard, rigid material that does not change. However, bone has the potential to regularly alter itself. New bone cells are frequently deposited, removing the old and existing bone cells. Bergen Premier Dentistry in Ramsey, NJ offers bone grafting as a necessary process to allow the jawbone to be strong enough to support and secure dental implants. With successful bone grafting, then the rest of the implant dentistry can proceed. Bone grafting candidates are usually the ones who are looking to get dental implants. 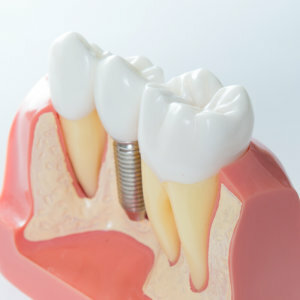 To allow dental implants to be fused to the gum tissue, there has to be a sufficient amount of bone tissue present. Most of the time, patients do not have enough amount of bone density to undergo the implant procedure, which necessitates undergoing bone grafting procedure. Bone grafting is considered a minor surgical procedure that is performed in our dental office in Ramsey, NJ. Local anesthesia is administered during the procedure before an incision is made on the gum to expose the bone underneath the area where the tooth is missing. A grafting material is then added once the dentist reaches the bone. Your body will start depositing new bone cells into the grafting material following the procedure. Grafting material may come from different areas of the patient’s own body, like the jaw or the hip. Other sources of material may also come from another human donor or an animal, which are made safe and sterilized by lab specialists. After undergoing bone grafting procedure, most patients at Bergen Premier Dentistry experience soreness in the operated area. It is a mild to moderate pain that can be treated by over-the-counter medications like pain relievers and anti-inflammatory pills. We also recommend using an ice pack to help relieve any discomfort and reduce swelling. Several months after the procedure, the bone graft will eventually be replaced by the patient’s own bone, reversing the decline in bone quality.